Yesterday 20.03.2016 wife Svetlana and Alexander, Gabi, Georgi and Ivcho (11 year old boy) visited Vrana Residency park, after we was in St. George’s Church Dyrvenica for the holy service. 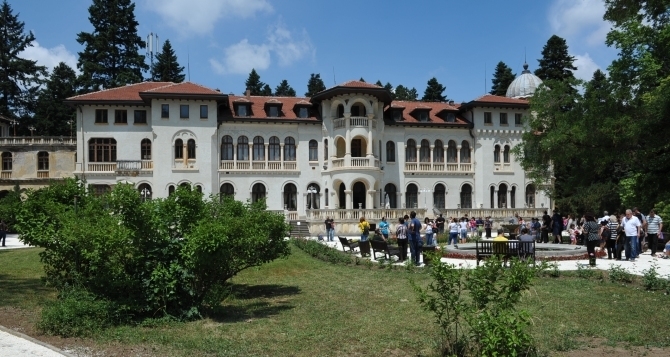 Vrana used to be a summer residency palace of the King Ferdinand and King Boris III during the Third Bulgarian Kingdom (3 March 1878 – 1946). Vrana’s palace is nearby but outside of capital city of Bulgaria Sofia and is unique park made in the traditional Western style “Landscape” parks popular in the beginning of the XXth century among all Europe. The park is a large botanical garden, containing 831 wooden species, bush and grass species belonging to 118 tree species and about 435 bushy species on the territory of only 100 hectars. The naming Vrana (Crow) was given by King Ferdinand, because before the fields where currently the Castle is stiuation was heavily crowded with crow birds, so seeing all these Crows, he decided to call it Crow (Vrana). 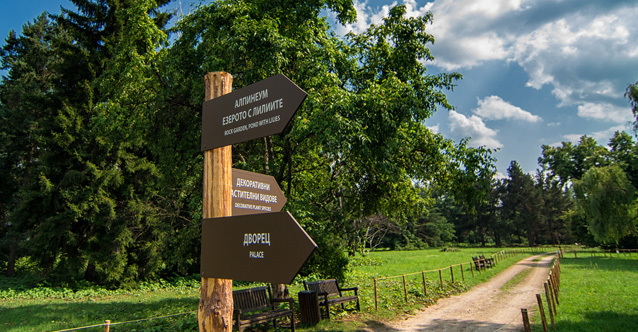 Thus Park Vrana is one of the unique parks to visit if you happen to be in Sofia. The sight from the park is also unique as you can see the beatiful Vitosha mountain. Officially the King Palace was opened in for a first time in 1903, first stage of the formation of the today’s appearance was completed in 1909 and was a great labour. The park happened to be the most unique park for its time and actually the first botanical park with its size in Bulgaria, the park continued to be enriched by Saxo-Coburg family for about 40 years until the death of the last officially rulling Bulgarian King Boris the III-rd in 28 August 1943 who was supposedly poisoned by Hitler (because of his refusal) to sent Bulgarian Army against Russia’s Soviets (USSR). 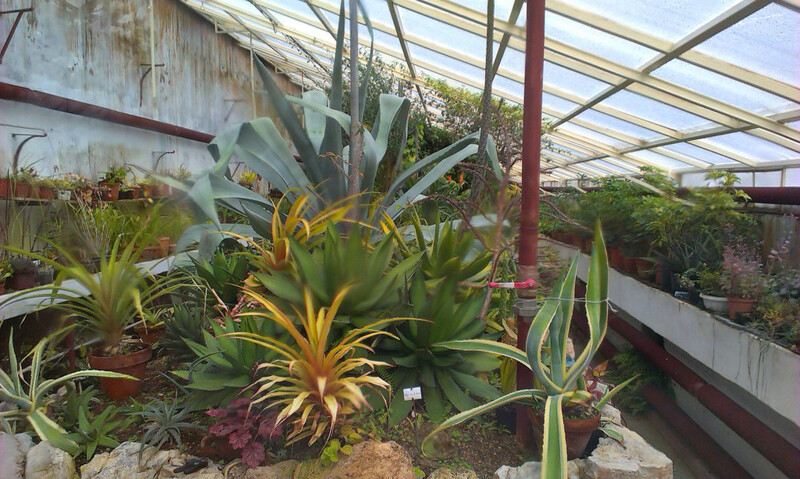 Vrana park is also unique because of the greenery which contains exotic tropical and Meditarrenian grass species, cactuses, pineapples, aloe vera, lemons and all kind of species from far Africa and Asia, some of the species are about 100, 50, 30 years old and so on. The park has an unique Dog Graveyard containing all the Royal family dogs (where each Dog has his ancestry year of birth, year of death and a small stone monument signifying the place of funeral). The palace itself is also a unique about 90 years old building. In front of the Vrana King’s palace entrance there is a beatiful pine wood and on the back a fountain with Liliums. Around the place one can see bird feeding throughs. Among the many and beatiful alleyes one sees trees from different American, Canadian, European, Asian species. The King’s Stables are also preserved (and inside one can see whole collection of all the carrets of Ferdinand and Boris, but unfortunately this can be seen only on a special request as it not publicly shown to all visitors. Through the years the Palace had even Elephants imported from Africa and there is a kind of Elephant stables left. We had the luck to get to know one of the king Simeon II-nd palace personal assistants and she shared with us a lot of interesting internals about how the work inside the palace is organized and unfortunately a lot of the problems faced, because of shortage of people to take care about the gardens and especially the shortage of people to take care about the extoic plants conservatory which in my opinion is the most unique thing to see in the whole park. 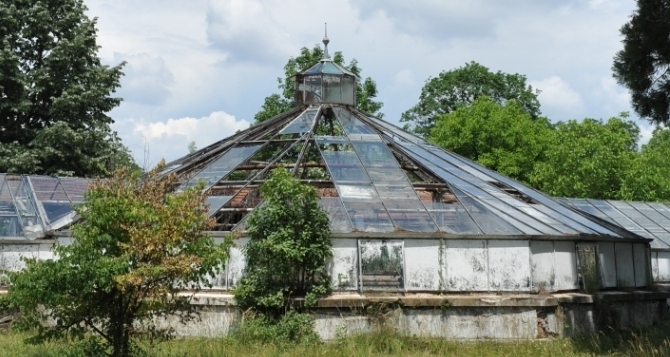 The Plants Conservatory (Greenery) is not opened full time so, if you happen to go to the Vrana palace you probably have to be in time when Maria Djadjarova the King’s palace assistant that takes care about the Conservatory is there, so you could take a look at it. As of time of visiting Vrana Palace, unfortunately the palace building was closed for visitors, because of restoration works. So next time hopefully we’ll be able to see the Karelian Hall which is a gift from Alexander III of Russia (The King Liberator as famous in Bulgaria as it was during his reign Bulgaria received liberation), and all of its furniture (the table, the chairs and the dressing table) are made of Karelian birch by master woodworkers specially sent from Russia. The first storey also has a cinema hall and tea halls, the second storey is where the apartments are located, and the third one used to be allocated to the servants and the court. The palace buildings outlooks is an interesting combination of Baroque, Austrian, Venetian and Bulgarian style. The palace features a carved wooden ceiling, oak wainscoting, built-in metal plates and Delftware. The interior columns are made of Carrara marble and an old Schindler lift is still in use. 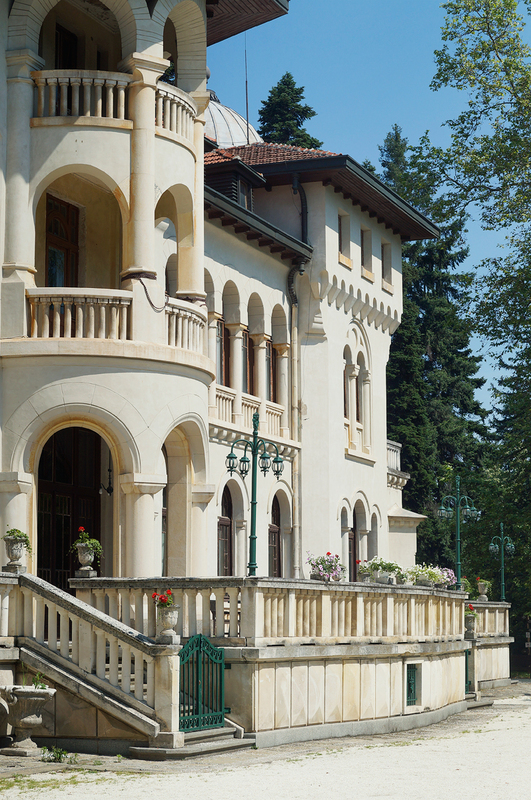 In terms of architecture, the Vrana Palace combines Byzantine influences, Bulgarian National Revival traditions, Art Nouveau and French classicism. 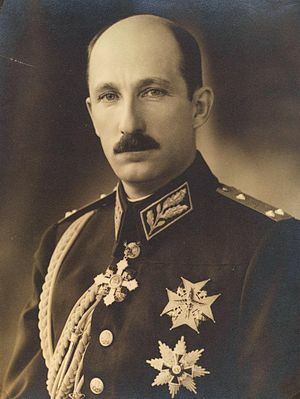 In 1918 Vrana passed from Tsar (king) Ferdinand after his demission to Boris III. Here he faced the new government after the military coup on 9 June 1923. 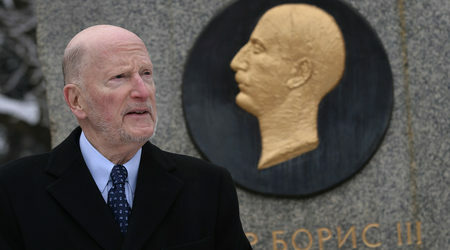 In August 1943, it became the property of Simeon II. The main palace was bombed by the RAF in 1943-44 during the World War II and after partially damaged, it was subsequently restored in 1947. 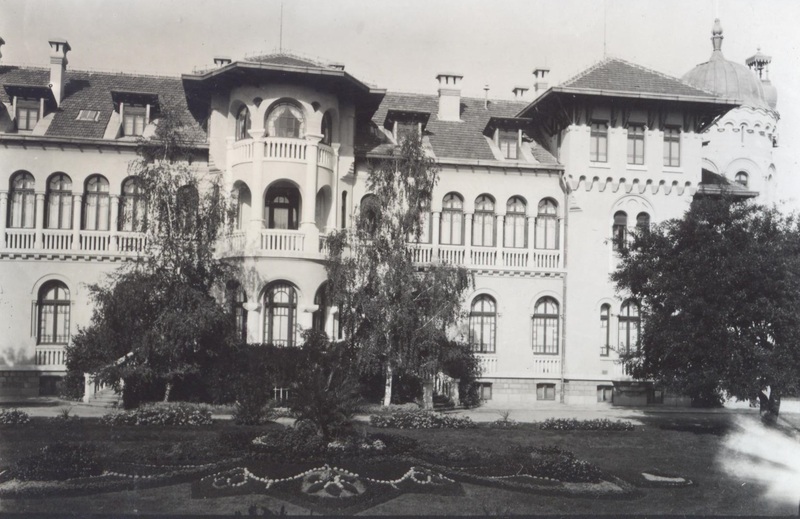 After the abolition of the monarchy, Vrana was taken by the communists and became a residence of Georgi Dimitrov who was the first communist leader of Bulgaria and a personal friend of Joseph Stalin. What is interesting about King Simeon the second is he was anointed as a child after the death of King Boris II and declared a King of Bulgaria. After the communists in Bulgaria take the power of the Country and made it a republic unlawfully, he went into Exile in Spain to escape persecution and death. Even to these day as an anointed by the Church he has the status and is King of Bulgaria and he appears to be the last living Eastern Orthodox Christian monarch living !!! 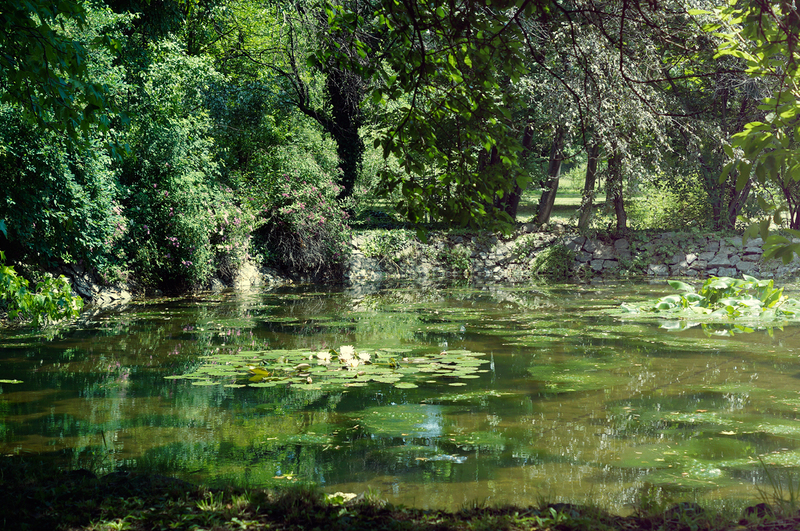 Among the landscape artists who have worked on the Vrana Park include V. Georgiev, K. Baykushev, Jules Locheau, Johann Kellerer, Anton Kraus, Alaricus Delmard and Wilhelm Schacht. The park includes a lake and several rock gardens. Vrana Palace is closed for visiting during the Work week days (as King Simeon Saxo-Coburg) is often living there and only opened for visitors during Weekend Saturdays / Sundays from 10:00 to 16:00 to reach it there is a special bus number 505 that walks to there only weekends, the entrance fee to Vrana is quite symbolic only 5 lv. and really worths the price. To conclude this post I totally enjoyed the silence and beaty of Vrana, if you’re overloaded from today’s busy life or just want to show your kids a little piece of history and enjoy in spring or summer time, just go visit these amazing place. The feeling there reminded me on how Adam and Eve was feeling before the fall of man while beeing in Paradise (Edem). Actually in the past the Orthodox palace was called Vrania but with the development of Bulgarian language the new ward for Vranjia is Vrana.